Paget Disease of Spine. 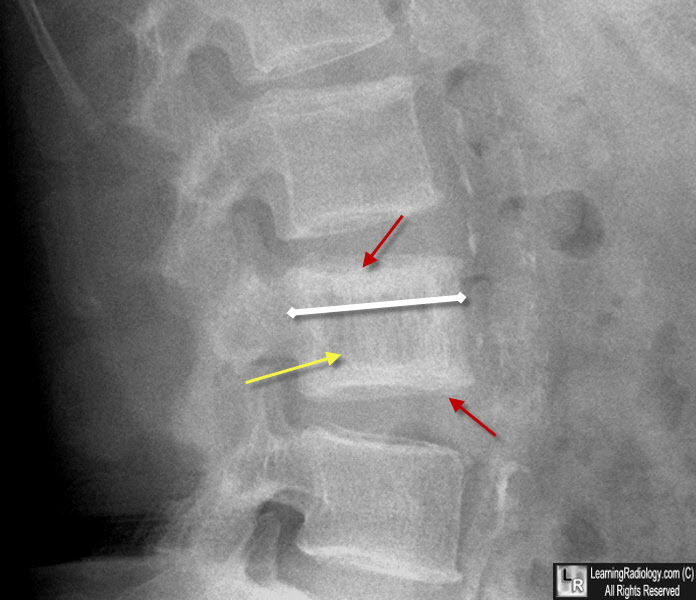 The lumbar vertebral body has thickened cortices which outline the body ("picture-frame appearance") (red arrows). The vertebral body is slightly larger than the body above and below it (white double arrow). The trabecular pattern is thickened and coarsened (yellow arrow).